Anthony Wysard (1907-1984), Caricaturist. Artist associated with 58 portraits, Sitter associated with 2 portraits. This caricature appeared the year after Ramsay MacDonald had resigned as Prime Minister. His son, Malcolm, also a Labour politician, had recently been re-elected to parliament. 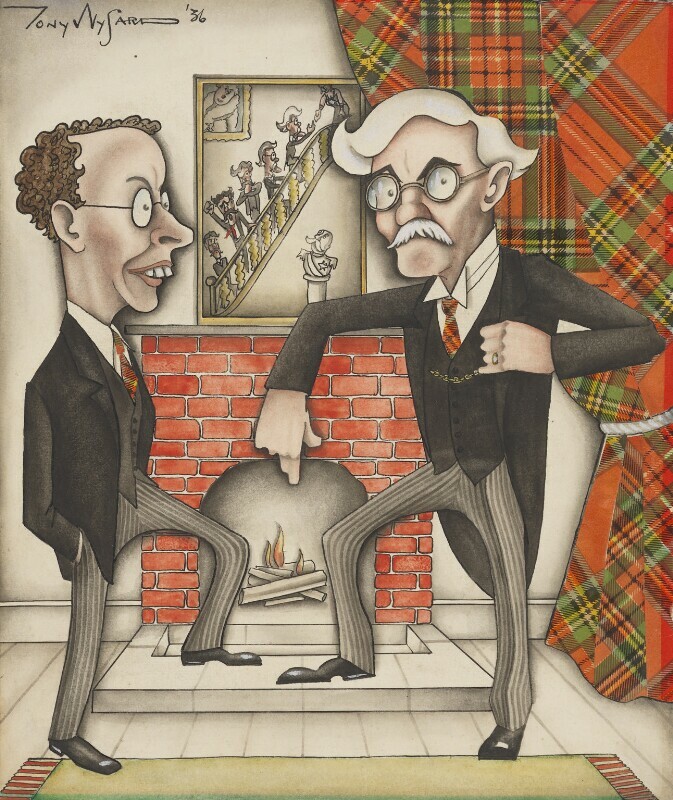 The caricature is entitled On and On and Up and Up and above the fireplace shows the progress of Ramsay MacDonald's career as he ascends a staircase to be greeted by a Royal figure at the top.